Subhashish Panigrahi is an India based educator, author, blogger, Wikimedian, language activist and free knowledge evangelist. Earlier with Wikimedia Foundation's India Program and currently at the Centre for Internet and Society's Access To Knowledge program. Builds partnership with universities, language research and GLAM (Gallery, Library, Archive and Museums) organizations for bringing more scholarly and encyclopedic content under free licenses, designs outreach programs for South Asian language Wikipedia/Wikimedia projects and communities. Wears many other hats; Editor for Global Voices Odia, Community Moderator of Opensource.com, and Ambassador for India in OpenGLAM Local. Author of "Rising Voices: Indigenous language Digital Activism" in Digital Activism in Asia Reader. Follow Subhashish at @subhapa on Twitter. 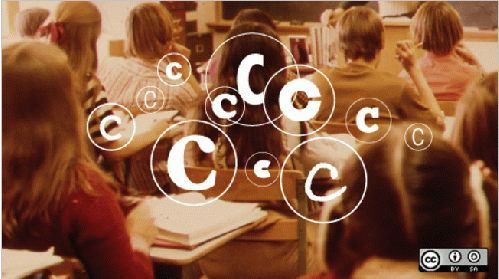 3 copyright tips for students and educators Copyright is a really complicated topic, and when it comes to online use of creative works, accidentally crossing the line between fair use and a copyright violation is easy. How do you know what is copyrighted?